Throwing a party? Sounds like you might need some help on the planning side. Getting an event started is always a bit of a head-scratcher, because you want to make sure that you have all of the key ingredients for the fun - without spending too much, or making things too over the top (or OTT). The best way to make sure that your event is one that will rule forever is to exercise a modicum of restraint but don’t spare any expense or brainpower when it comes to the details. You might have heard the saying that it’s all in the details - and to be honest, I completely agree with this philosophy. Planning an event to remember takes a lot of careful pre-planning, but if you play your cards right, you’ll end up with a party that sticks in the minds of your attendees for a long time to come. Throwing a great party requires innovation, as well, and so we have created a short guide to organising an event to remember. Take a look at these tips. Throwing a great party isn’t easy - but if you have something to get your guests engaged from the very start, you’ll find that your event will run smoothly. 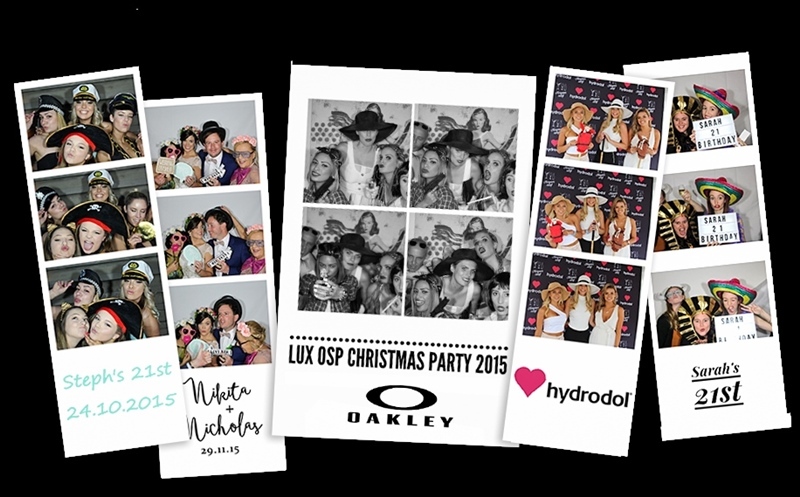 Having something like a photo booth available for people to take pictures in will make it easier for your guests to ease into things - and so consider getting in touch with Melbourne Memories for photo booth hire that will really make your event shine. A photo booth is a great way to get people interacting with each other, and to get people out of their comfort zone. Take a look online at some of the best props and fun additions to make your photo booth truly awesome. Part of throwing a great party is ensuring that there are plenty of people who are going to be there to hang out with you! To ensure that you have mates, you need to get onto your social media tout suite. A carefully planned social media event is going to be bring the hordes - hopefully. It’s not that you need to have a gazillion people at your event - but a few wouldn’t hurt, right? Spread the word among your followers and friends - but curate things too, so that you don’t wind up with all and sundry at your party! If you’re throwing a social event, you need to make sure that you contact the right kind of people so that you get the right kind of PR for your party! Get in touch with your local street press to ensure that they cover your event, and see if you can get some influencers over to cover the event via their social media channels. They will be only too happy to be part of something fun and cool - so think about whether it’s something you can bring about through your influence. When you’re worrying about all of the logistics of throwing a great party, you often don’t remember to have fun! You are throwing this event to ultimately bring people together and to have an occasion celebrated. Focus on the logistics, sure, but also remember to take time to celebrate. Good luck with throwing the event of the season. If you are stuck for any kind of inspiration or if you need to get your head in the zone, don’t forget to think about some quirky ways to stand out. A photo booth is a great idea, and so is a theme. People love to go to parties and events where it’s clear that the host has thought about the guests - so get researching.